Nearly two-thirds (60%) of respondents in Australia say more work is needed by companies to improve their online experience. Customer experience (CX) ratings vary by vertical with hospitality leading the way globally. More than half of all respondents think machine-to-people interactions will improve CX. Australian consumers still believe they will have the better customer experience in a physical location than an online store. The survey, of 5,000 adults from Australia, the United States, UK, France and Germany, indicates a measurable disconnection between the advancements organisations think they are making to deliver exceptional customer service and how customers actually view their commercial interactions. Specifically, less than half of respondents believe the technology needed to deliver the perfect online buying experience is available. This stands in stark contrast to findings of a previous Mitel survey, in which 90 per cent of IT decision-makers optimistically reported progress in improving customer service through the use of technology. Whilst a clear sign of the growing pains associated with digital transformation initiatives underway globally, the new survey also uncovers an opportunity for technology to play a key role in defining and keeping pace with changing buyer behaviour and preferences. In fact, over half of those surveyed believe machine-to-people interactions will positively transform the customer experience (51% in Australia). As customer experience becomes increasingly critical for businesses to remain relevant and compete, Mitel’s survey shows differences in customer satisfaction across vertical industries. Growing use of cloud communications and applications, combined with emerging technologies like the Internet of Things (IoT), artificial intelligence, chatbots, and natural language processing (NLP), are creating new ways for companies to nurture and build customer relationships. Winning companies will be those that are able to differentiate their brands by delivering seamless experiences across physical and digital environments, devices and channels. Currently, some segments are doing better than others. Hospitality leads the charge: Hospitality management knows the first stop on the itinerary for today’s travellers are online review sites. Before booking a trip, consumers want to hear what others have to say. In fact, it’s a near-universal activity. Given the impact reviews can have on average daily room rates, it’s no surprise this industry takes customer satisfaction seriously, receiving top marks among those surveyed. Australians also responded with high satisfaction rates (41%) with regards to their online experience with hospitality providers. Physical retail isn’t dead, but the customer experience is: More than 60 percent of shopping done by respondents still takes place in a physical store, though that number is shifting. When asked about the challenges faced by today’s brick-and-mortar retail outlets, three out of five respondents say the fact retail stores are struggling has more to do with the customer experience they provide, not products. While Australians are currently shopping in physical stores at much higher levels (74%) they agree with their global counterparts that customer service just doesn’t exist anymore. A seamless omnichannel approach is critical for this market, where more than one-third (36%) of Australian respondents note they make purchasing decisions based on the experiences brands provide versus the products and services offered. Chatbots can be used to manage simple tasks, while IoT and team collaboration tools open up new avenues for communications across media, whether it’s voice, email, SMS, web chat, social media or a website. Speed is the game in sports and entertainment: In the fast-paced world of sports and entertainment, immediate and clear communication is a necessity. Forty-nine percent of Australian respondents point to simplicity and speed as the most important factor in a good customer service experience, slightly higher than the global average (45%). Availability vital in healthcare: Healthcare organisations receive the lowest marks from respondents in all countries when it comes to customer service. Australian respondents, in particular, say availability and 24/7 service (40%) is the most important feature they look for from healthcare services, followed by simplicity and speed (36%). Bots, AI and machines can fill the customer service gap: Consumers appear to be increasingly comfortable with machine-to-people interactions when shopping online, with over 78 percent of Australian respondents saying they are satisfied dealing with automated processes. Most do not want to interact with a person while shopping online unless the service is very complicated, or they are having trouble finding the product or service they need. Half of Australian consumers and over 60 percent of U.S. respondents say if they could shop without speaking to a person, it would be a good thing. Even so, physical retailers need to balance the use of technology. 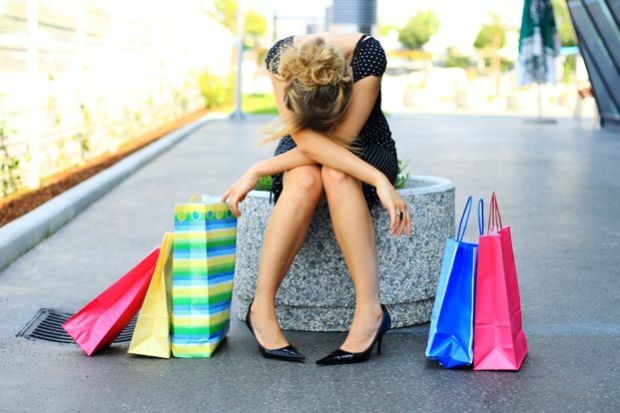 Consumers do expect people to efficiently help them when shopping in a physical storefront. Mobile reigns supreme in the United States; Australia favours in-store: Of all respondents, U.S. and Australian consumers shop most frequently during a typical week. There are also notable differences by country regarding how and where consumers shop. U.S. respondents reach for their smartphone and use apps; Britons like shopping online via their tablets; French shoppers most often use their laptops; Germans are more likely to use a desktop computer; and Australians prefer a physical store location (74%). In Australia, brands can’t be complacent about improving their online presence. While more Australians still prefer buying goods and services in physical stores, more than two in five (42%) say they want to shop even more online, and just one in ten Australians (9%) say they don’t like shopping online at all. Seven in ten Australians (71%) say overall, shopping online is more convenient than shopping in a store. To meet this growing demand for online services, and the change taking place in consumer behaviours and expectations, brands need to consider a greater level of consistency across both the online and physical experience for their customers. The study is the latest in its Business Insights Survey Series, which builds on previous research from August 2017 where more than 75 per cent of IT decision-makers said they planned to tie together devices, emerging technologies, and communications and collaboration capabilities within two years to enable machine-to-people interactions to improve customer experience. This body of work expands on the concept established by Mitel in 2016 of Giving Machines a Voice to enable IoT and other machine triggers to launch real-time communications workflows that can improve how companies work and collaborate. Exploring a different angle, this survey examines how consumers view customer experience in shopping for goods and services across market segments, including retail, hospitality, sports and entertainment, health care, financial services and utilities.